Mazda has finally taken the wraps off its much anticipated, fourth-generation MX-5. The MX-5 is an iconic model representing Mazda's vehicle-engineering philosophy-the pursuit of driving pleasure. "Innovate in order to preserve" was the motto for the fourth generation, as the development team searched for innovations that go beyond simple evolution. The world's best-selling two-seat sports car (totalling more than 940,000 units) will arrive in-market featuring Mazda's sculpted, KODO design language as well as a full suite of SKYACTIV technology, the brands' highly publicized suite of features that the automakers say has gone over well with Canadians. Mazda's Kodo design language is obvious here, with a seriously wide and low demeanour, and a mix of flowing lines and sharp angles. The exquisite proportions make the driver and passenger stand out, and both the interior and exterior evoke the exhilaration of open-top driving. It is the most compact of any generation MX-5 so far and is more than 100 kilograms lighter than the model it replaces, promising a dramatic leap in Jinba-ittai driving fun. 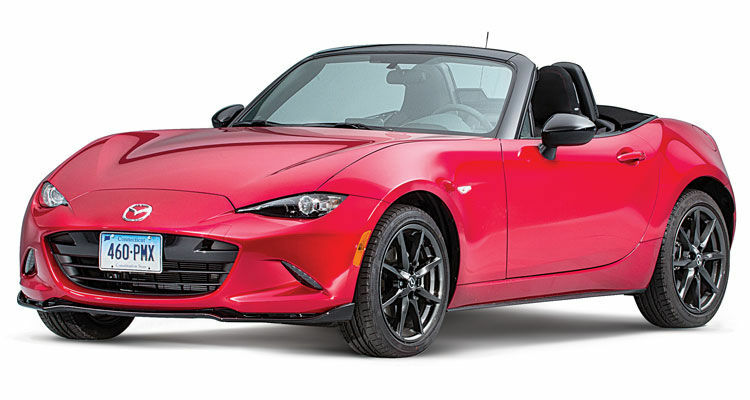 Environmental and safety demands are much more stringent than they were when the first generation MX-5 was introduced 25 years ago, but the fourth generation stays true to the model's original aim of offering the pure driving fun that only a lightweight sports car can. It achieves this through the adoption of SKYACTIV TECHNOLOGY and refinement of its appeal to the senses and sensations through which people enjoy cars. It's time to move to a new experience in driving. Fill the form below if you would like to get noticed once the 2016 Mazda MX-5 arrives at Agincourt Mazda.